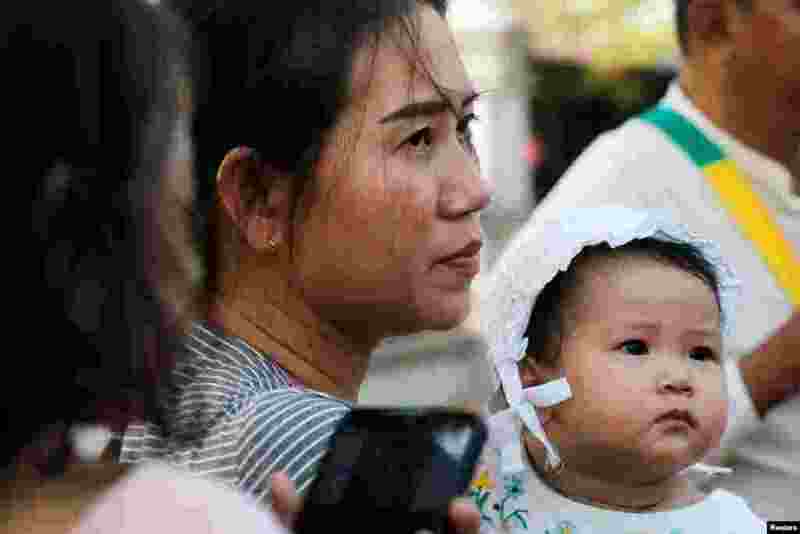 1 Pan Ei Mon, wife of jailed Reuters journalist Wa Lone, is seen with their daughter after attending a hearing at Myanmar's Supreme Court in Naypyitaw, Myanmar. 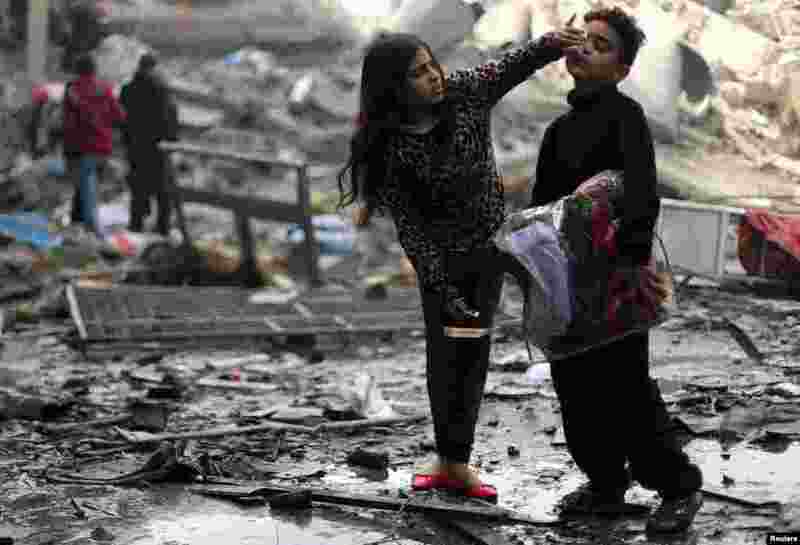 2 A Palestinian girl cleans her brother's face outside their destroyed house after an Israeli missile targeted a nearby Hamas site, in Gaza City, in the Gaza Strip. 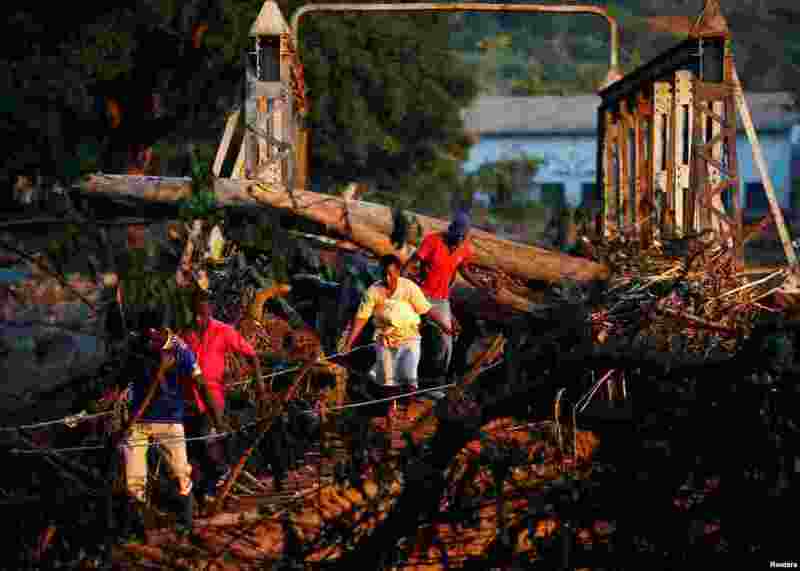 3 Survivors of cyclone Idai cross a temporary bridge as they arrive at Coppa business center to receive aid in Chipinge, Zimbabwe. 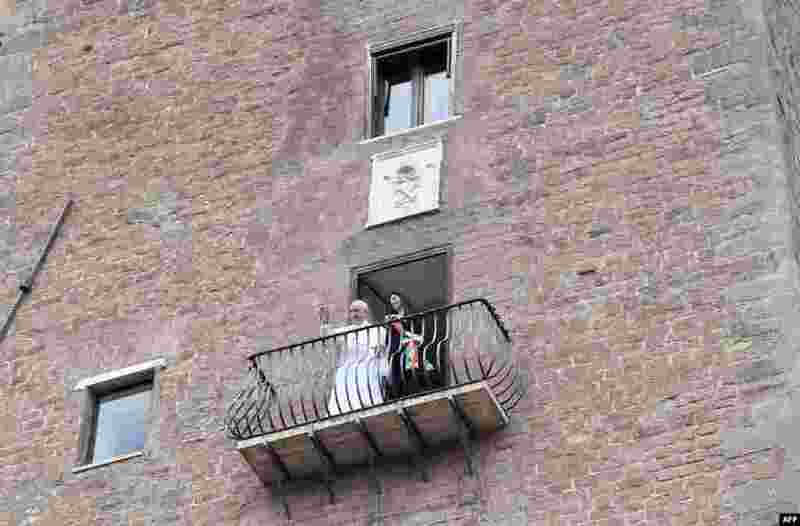 4 Rome mayor Virginia Raggi (R) shows Pope Francis the view over the Roman Forum from a balcony during the Pope's visit to Rome's City Hall on Capitoline Hill (Campidoglio), Italy.